What’s the Project? 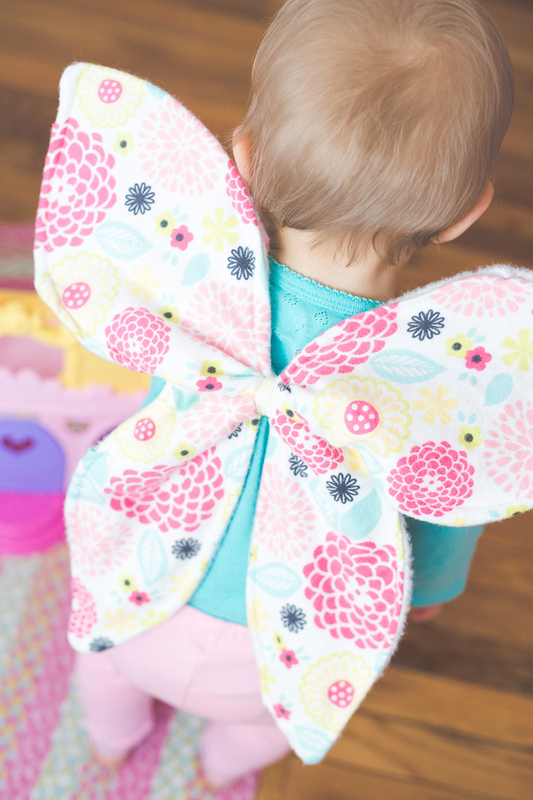 Use this dress up butterfly wings pattern to make the cutest little butterfly costume for your little girls. 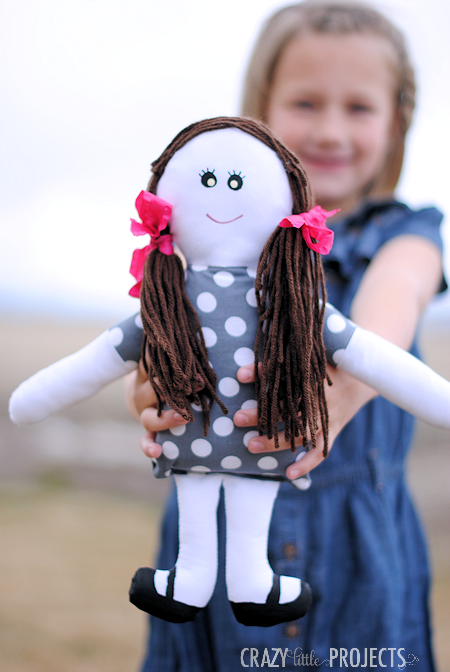 Darling for them to wear and simple to make, this butterfly costume is perfect! But there’s not little girls in my house! 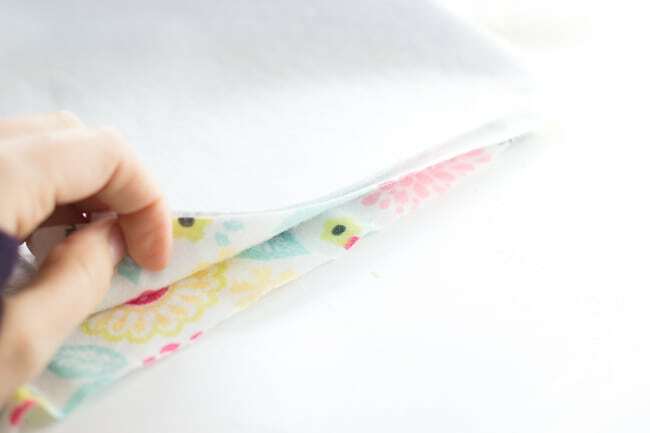 Today it’s time for another of my wonderful sewing contributors and SHE’S got a cute little girl. 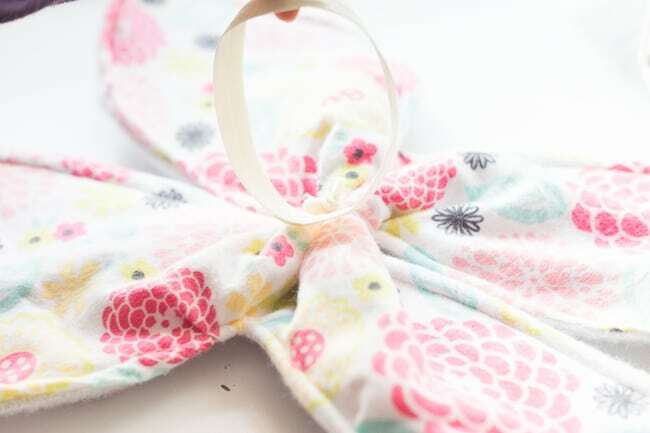 This tutorial is from Katie from Made to be a Momma and I am thrilled with this cute Dress Up Butterfly Wings Pattern! Since I have no little girls in my life, it’s nice to see a cute and girly tutorial from someone who does. Look how cute! 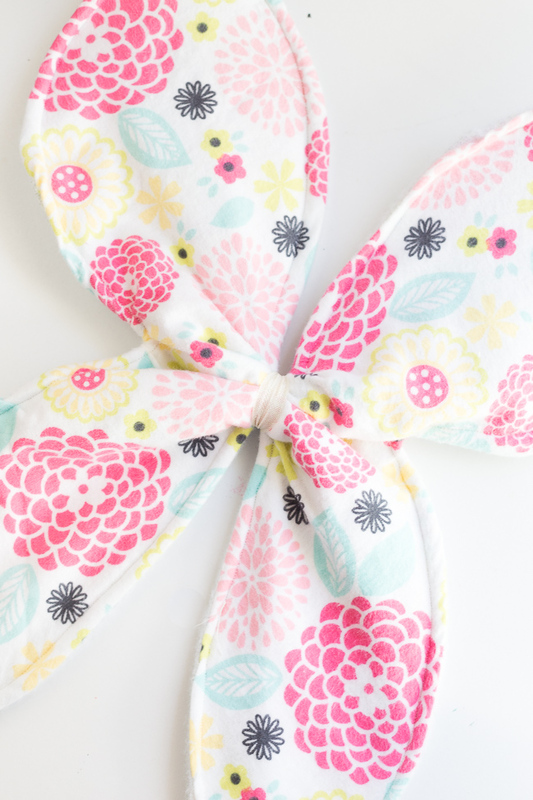 These dress up butterfly wings are one of the sweetest things for little girls! My daughter just turned one on Thanksgiving day and it has been so fun to see just how different she is compared to my boys. 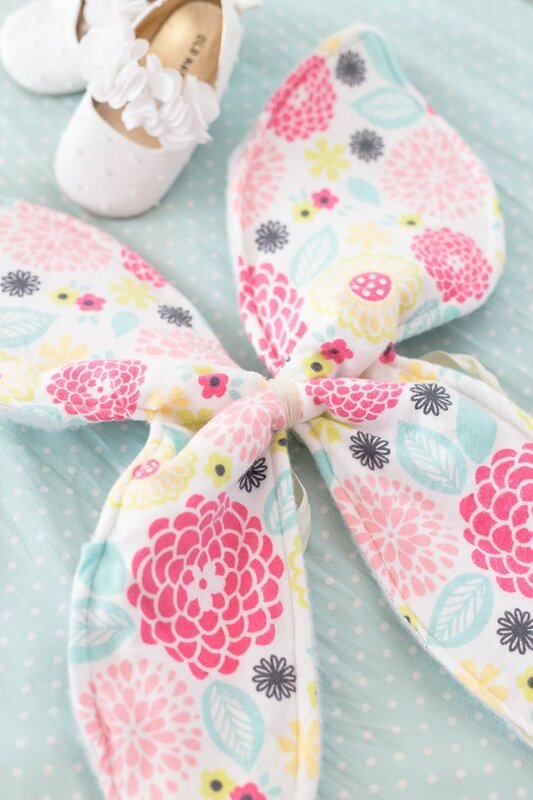 She loves all things baby dolls, bows and more. These butterfly wings looked so sweet on her and are great for all those little girls that love spending their day dressing up and imagining. They would also be a great costume idea for school plays or even Halloween. 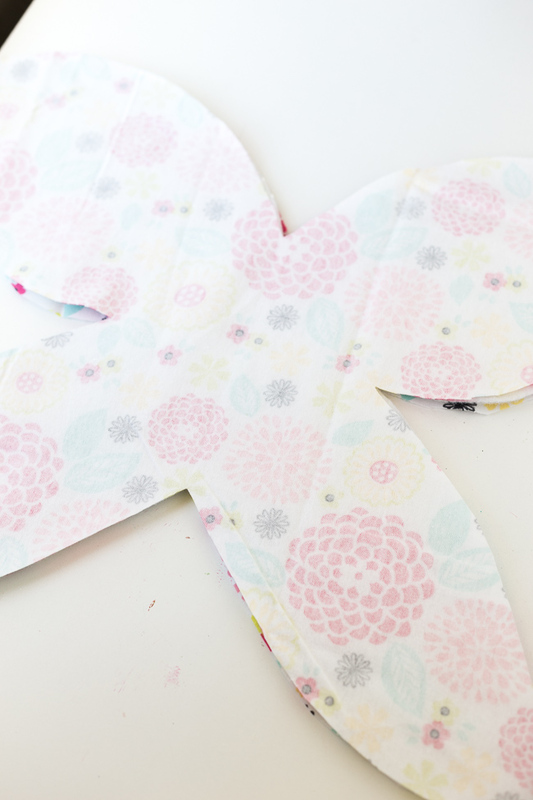 With just a few simple supplies and some minor sewing skills, you can have a set of these butterfly wings done in no time! Elastic, I like to use headband elastic for this particular project. The amount will vary. First I drew and cut out HALF of a butterfly shape pattern out of a piece of wrapping paper. I just made sure it wasn’t much larger than the size of my daughter’s shirt. The size of the butterfly shape you will make depends on the size of the child you are making it for. I folded my fabric in half and placed the edge of my butterfly pattern on the folded edge. I repeated this step for my main piece of fabric and once with my piece of batting. 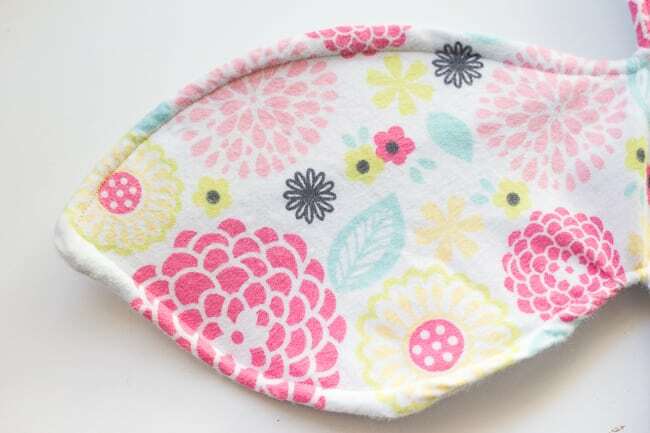 You should have a total of three pieces (1) batting piece and (2) pretty fabric pieces. Lay your pieces together pretty side of the fabrics facing each other and lay the batting on top. Sew around all the edges making sure to leave a 4-5 inch gap for turning. Turn your butterfly wings right side out and press with a hot iron if necessary. 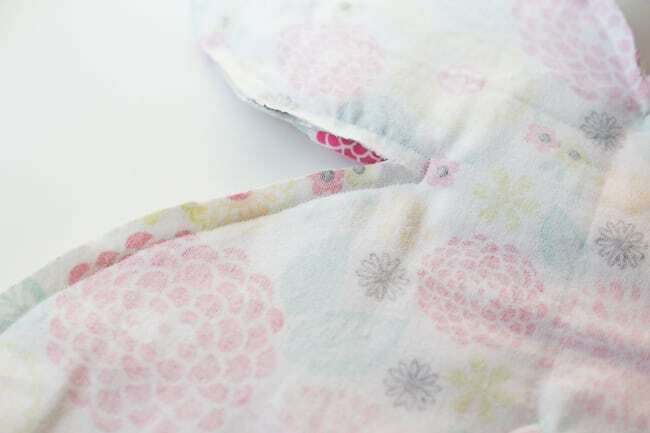 Top stitch around the edges, making sure to sew the hole closed. Take a 3 inch piece of elastic and tie it around the middle of the butterfly wings. This step is optional but I loved how it looked gathered slightly in the middle. Either hand stitch or hot glue two circle pieces of elastic to the back of the butterfly wings. This is what your child will put their arms through to wear their butterfly wings. For my daughter, I had the circle pieces about 8 inches long. These could also be made for boys using other colors. You could even use the same concept and cut out bat wings instead of butterfly wings. So simple and so sweet! 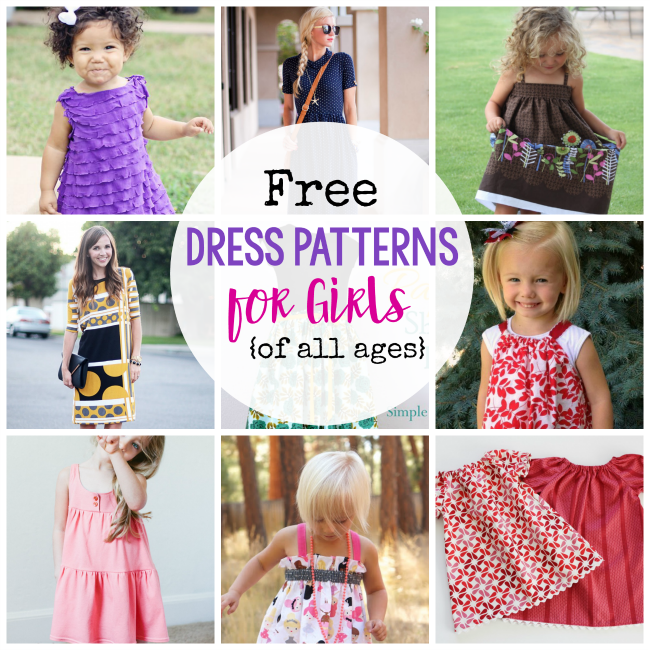 Hope you have fun sewing this cute dress up butterfly wings pattern! Very cute! Tickles the imagination and creative bug………..thanks! where and how do I get the pattern??? She gives instructions in that post. Unable to find the link to print out the pattern. She explains that you are going to create it yourself based on the sizing you need. Cute! About how old was your daughter when you made this? I want to make this as a gift for a 2 year old and wondering how long the elastics should be. Thank you! Thank you so much for this tutorial💛 its so simple with beautiful results. Here’s a message from Katie: I just placed it in the middle center of the wings. If you can, try to hold it up to the child to make sure before you attach it. What kind of batting? I do not know how to pick and choose batting. I stood in that section of the store for a while today, touching and feeling the different choices. And then I bought interfacing. Sigh. Do you have batting that you recommend? Here’s an answer from Katie: I just use a normal cotton batting but you can also let her know that Felt (by the yard )is a great option too! If you read through she explains how to draft one for your particular kiddo. Where is the pattern for the butterfly wings? Read in the post and she describes how you figure out what you need for your particular little girl. Do the wings fold with time? Are they stiff enough for a five year old Birthday party or will I need more reinforcement? Thank you so much for the idea. So much better than getting wings from the dollar store.